Spirituality means many things to many people, yet most spiritual traditions have much in common regarding the experience of spirituality, even when beliefs and interpretations differ. One such commonality is the Principle of Peace. We live our lives much like a sailboat on the ocean. We may think we’re in control of our lives, yet most everything around us – the sky and sea shifting above and below – remains largely a mystery. Winds and currents shove us this way and that. We can set our sails and grab the tiller to steer a course, but storms and doldrums can upset the best laid plans. Yet despite the inherent uncontrollable nature of life, and even in the midst of the storm, our spirituality can bring us immense peace. 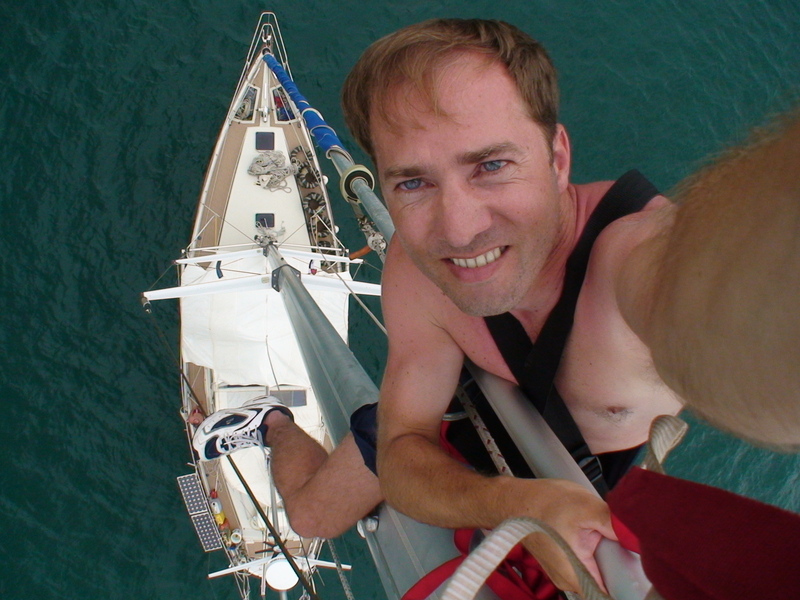 I once took a 5-week, 2,500 mile ocean voyage from Aruba to Acapulco as first mate aboard a 53′ sailboat. While crossing the stormy Gulf of Tehuantepec, a gale blew for 14 hours and several times, the 50 knot winds and 15′ waves flipped our boat on its side. To make a long story short, I was getting worried and said a little prayer. I then instantly knew two things – that the storm would continue for a while yet, and that we’d make it through just fine. From that point on, my worries ceased completely. How does this work? How can we obtain peace and joy even when the world around us is in turmoil? For one thing, the Divine, no matter what you call it – the Creator, a Heavenly Father and Jesus, the Universe, or otherwise – has such power and wisdom that from its perspective, everything is okay, or at least it will turn out okay in the end. Our most difficult challenges and trials could be compared to a child who sees life as most certainly not okay when it has to go to bed or when you don’t buy it candy. As an adult, you know it’s not the end of the world. As adults, our trials seem just as serious as they did as children, and we continue to lack an even more advanced perspective to evaluate them from. The Divine certainly doesn’t enjoy watching us suffer, but from its perspective, our struggles are often no more serious than the short-sighted child’s. When we make a connection with the Divine, which forms the basis of personal spirituality, we often capture of glimpse of that viewpoint and experience a portion of its peaceful perspective. With experience, we learn to trust that assurance, and we continue forward with greater courage and hope even when all we see are storm waves from horizon to horizon. Homework: seek a connection with the divine, and when you attain it, reconsider your sense of self and perspectives on the world around you in light of that peace. What does it teach you about ultimate reality? How does it change your perspective and encourage you to trust that everything is ultimately okay despite temporary challenges?